Newly constructed resident complex in the Republic of Korea. Photo credit: KRIHS. The total population living in Seoul, capital of the Republic of Korea, has recently fallen below the 10-million mark. An “exodus” from Seoul is widely discussed in the media as a social issue, drawing attention to population movements and related changes in the Greater Seoul Metropolitan Area. Indeed, population changes are closely related to the housing segment, showing a strong correlation with housing and urban management. Population movements in the Greater Seoul Metropolitan Area drive changes in household composition by region, causing new housing and urban issues. The supply of houses is not only influenced by changes in housing demand resulting from population movement but also affects population movement. That is, residential movement interacts with the supply of new houses and housing problems and exhibits a strong correlation with various housing and urban problems. The Greater Seoul Area, or Seoul Capital Area, is the metropolitan area of Seoul, Incheon and Gyeonggi province. Given the strong correlation between residential movement and various housing and urban issues, policy measures should be established by clearly identifying the link between residential movement patterns and the regional characteristics of new housing supplies in order to address housing and urban problems caused by residential movement. Such policy actions will eventually contribute to improvements in housing conditions and quality of life. In particular, the Greater Seoul Area has a population of more than 20 million residents. Studies about the metropolis should provide important implications for housing policies in the Republic of Korea as well as other metropolitan areas faced with similar challenges. 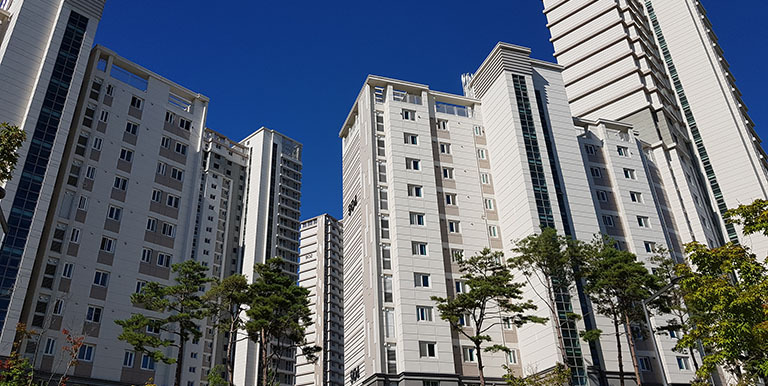 This policy brief is adapted from an article entitled “Housing and Urban Policies in Response to Residential Movement: With a Focus on the Seoul Metropolitan Area,” published in the Space and Environment magazine of the Korea Research Institute for Human Settlements (KRIHS). The movement of population and households is characterized by outward migration from Seoul to the Incheon Metropolitan City and Gyeonggi-do. By region, there was a large inflow of population to Gyeonggi-do, where large-scale housing development projects have been undertaken as part of government policies. Source: Analysis of Statistics Korea’s microdataon population movement. Source: Analysis of Statistics Korea’s MDIS raw data on population movement. Key factors influencing the migration patterns in the Greater Seoul Area can be analyzed in terms of the economic, life cycle, and institutional dimension. The combination of these factors affects residential movement patterns in the metropolitan area. Specifically, migration patterns are shaped by a huge gap in regional housing costs driven by jeonse (a lump-sum deposit on rental space) price hikes on the economic front, child-rearing environments for newlyweds and young parents on the life cycle front, and the concentration of housing supply in Gyeonggi-do (with a policy focus on new large-scale housing projects) on the institutional front. In particular, the migration to peripheral areas results from a cost of living gap, which is involuntary in nature and thus undesirable in terms of housing stability. large-scale urban renewal areas with reconstruction and redevelopment projects (e.g., Dongdaemun-gu). This study looked into Gwangju in Gyeonggi-do, where the supply of multi-dwelling units was concentrated, to analyze the relation between the characteristics of housing supply and household migration. People aged under 35 living as single-person households accounted for the largest share of move-in households in Opo-eup and Chowol-eup, which have a high concentration of new multi-family/multi-dwelling units compared to other areas. This demonstrates a probable correlation between the supply of certain types of houses and the migration of certain groups of households. In particular, the high representation of single-person households aged under 35 in the total move-in households in Gwangju confirms that housing supply can be aligned with housing and urban management policies. Source: Statistics on construction permits/approvals (http://www.eais.go.kr/). The analysis of residential movements in the Greater Seoul Area revealed various challenges to urban management, such as involuntary migration to peripheral areas due to growing housing expenses, concentrated supplies of certain types of houses (e.g., multi-family/multi-dwelling houses) in certain areas, and the regional overrepresentation of certain household types as a result. At the metropolitan area level, the growing housing burden and the huge gap in housing expenses between regions have pushed people out of the city to its peripheries. At the micro-spatial level, the concentrated supply of certain types of houses (e.g., multi-family/multi-dwelling units) may have a strong correlation with the inflow of certain groups of households. The problems identified by the analysis of residential movement require policy measures, which can minimize the involuntary migration to peripheral areas by reducing the burden of housing costs and ease the regional imbalance in terms of housing and households types through systematic management. To ease housing cost pressures, various policies should be executed to stabilize the housing rental market, expand rent subsidies, and increase the supply of affordable houses in areas with high housing demand from low-income households. Continuous efforts should be made from the supply and demand sides of the housing rental market to reduce housing cost burden and keep people from being priced out of their homes. Moreover, urban management measures should be systematically pursued to ease the regional concentration of certain types of houses. Areas with a high inflow of underprivileged households call for customized housing subsidy policies, encompassing housing management, transportation, and healthcare, to address local problems caused by residential movement. Korea Research Institute for Human Settlements (KRIHS). 2017. Urban Regeneration and Gentrification. Space and Environment. Vol. 71, pp. 08–11. September. His research areas are housing and real estate policy, residential area renewal and gentrification, housing in the Democratic People’s Republic of Korea (DPRK), and the housing market. He obtained his bachelor’s degree in Geography and Economics and his master’s in Geography from the Seoul National University.